During a cold winter night closer to Christmas, a group of 18 year olds—Alan, Chris, Kyle and Jason—were hanging around the park where they noticed a van pull out of the driveway across the street filled with luggage sets. In curiosity, the group approached a dark non-lit house and rang the doorbell. No answer. They tried to peek into the window and noticed a large Christmas tree surrounded by large presents. “Maybe this family left for a vacation…no one’s around…” the boys assumed. The next day, the boys came back to the same house in the afternoon and watched as the neighbours pass by the house. “Let’s come back tonight and see if the van is parked in the driveway,” Kyle commanded. Later that night, approximately 11pm, the boys approached the house and still noticed that the driveway was empty and the house remained unlit. Filled with excitement, Kyle guaranteed the rest of his friends without a doubt that the family who owns the house is on vacation. Kyle, then, gathered around his friends Alan, Chris and Jason suggesting to break into the house and steal the presents. At 3AM, Chris drove his white van and pulled into the driveway along with Jason, Kyle and Alan who wore dark clothing and masks. Kyle rang the doorbell one more time to make sure that no one was home… no answer. All 4 boys, then, went to the backyard and threw a piece of stone to break the glass window. As they broke in, they took all the presents under the Christmas tree and also a laptop that was left in the living room. They ran out through the front door with all the things they found, hopped into the van, and drove away. What are the legal ramifications of this scenario? 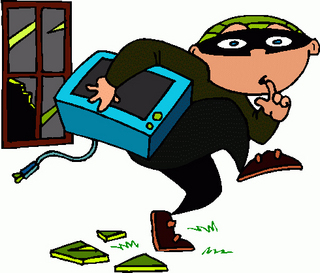 In Canada, the crime of burglary is referred to as “breaking and entering" or "B&E”. All four boys can be charged with the offence of break and enter under s.348 of the Criminal Code of Canada. The offence of break and enter encompasses situations where the accused was or attempted to trespass on private property with an intent to commit an offence or actually committed the offence. Break and enter does not require any damage to the property entered. All that is required is any entrance into the property by even a part of one's body (s.350 of the Criminal Code of Canada). The key evidence for a conviction of such an offence is circumstantial. For this reason, the identity of those charged as well as evidence of possession of the stolen items are often important indicators. If there was a neighbor or third party on the street who saw these boys, or if a parent, friend, sibling finds the stolen goods or if one of the boys involved comes forward, it is probable that the boys will be charged based on this evidence. Importantly, if you are charged with a crime after you turn 18, the YCJA is no longer applicable and you will be charged under the Criminal Code of Canada. These four boys are over 17 years old, and will be charged under the Criminal Code of Canada. This blog scenario was written by Karen Jacobe, a volunteer on the JFCY's PLE Team. The legal content was written by Lauren Grossman, a first year law student at the University of Toronto who is volunteering at JFCY as the PLE team leader through her law school's Pro Bono Students Canada program. All legal content was reviewed by a JFCY lawyer.